Neymar delivered Brazil's first Olympic men's soccer gold medal on Saturday with the winning penalty in a 5-4 shootout victory over Germany in a thrilling match at the Maracana Stadium. 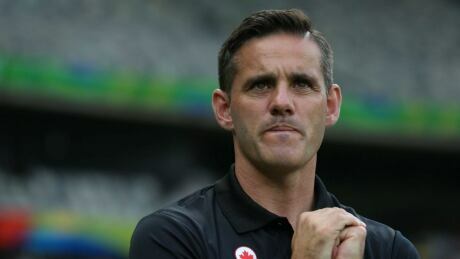 Canada's top soccer official paid tribute to captain Christine Sinclair in the wake of the Canadian women's Olympic bronze medal. 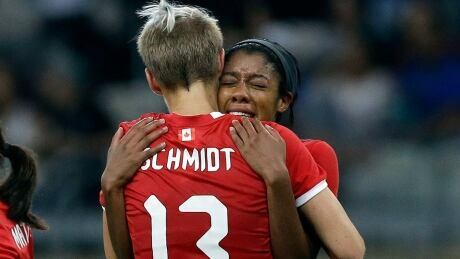 Deanne Rose and Christine Sinclair scored to give Canada's women's team back-to-back Olympic soccer bronze medals with Friday's 2-1 victory over host Brazil. Four years ago, Canada surprised and delighted a nation. 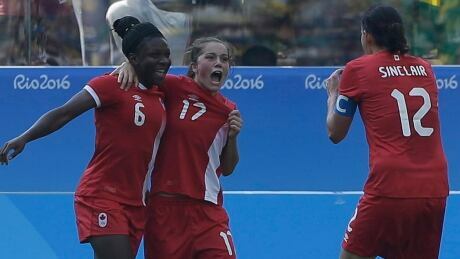 The London bronze medal in women’s soccer was as uplifting as it was unexpected. At Rio 2016, is it too much to expect, or can Canada repeat the feat? Nigel Reed offers three keys to Canadian success against host Brazil. 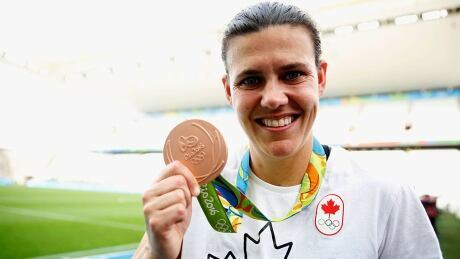 The Canadian women's soccer team looks to return to the Olympic medal podium Friday on a milestone day for Christine Sinclair, who will earn her 250th cap. 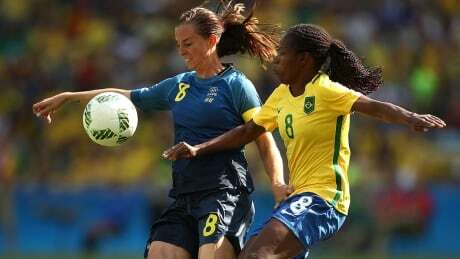 After losing a shot at gold, the Canadian women's soccer team is back on familiar ground — in Sao Paulo and looking for Olympic bronze. 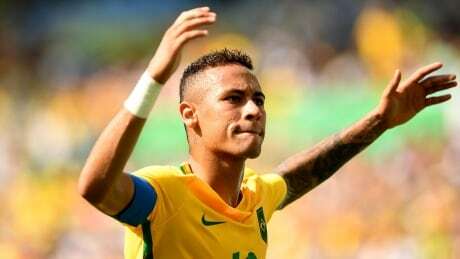 With the fastest goal in Olympic history, Neymar led Brazil back to the gold-medal match, helping his side defeat Honduras 6-0 Wednesday in the semifinals of the men's tournament in Rio. Melanie Behringer and Sara Daebritz scored to help Germany avenge a loss to Canada in pool play with a 2-0 victory in a womens Olympic soccer semifinal on Tuesday in Belo Horizonte, Brazil. Hedvig Lindahl made two saves and Lisa Dahlkvist converted the final penalty as Sweden defeated host Brazil 4-3 in a shootout to reach the final of the Olympic soccer tournament for the first time. 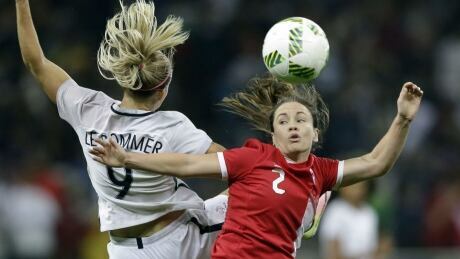 Fullback Allysha Chapman returned to training Monday, three days after her shoulder popped out during a violent collision in Canada's Olympic quarter-final win over France. You are currently browsing the archives for the Sports/Olympics/Rio Olympic 2016/Soccer category.